TOWCESTER TAXI AIRPORT TRANSFERS 01908 263263 RELIABLE ROAD TAXI TRANSPORT: Mike Brown's TfL And The Mayor Give Uber 1,000 Strikes And Your Out With 14 Months To Go. 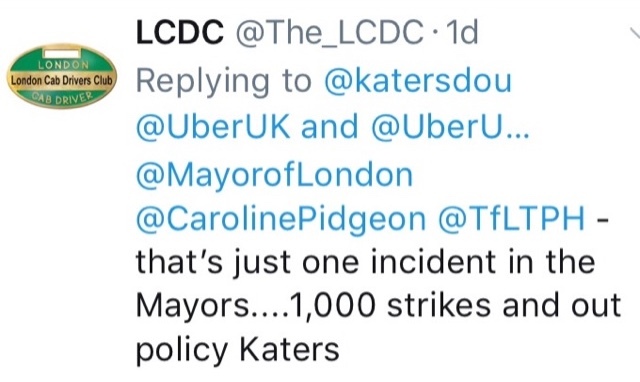 Mike Brown's TfL And The Mayor Give Uber 1,000 Strikes And Your Out With 14 Months To Go. 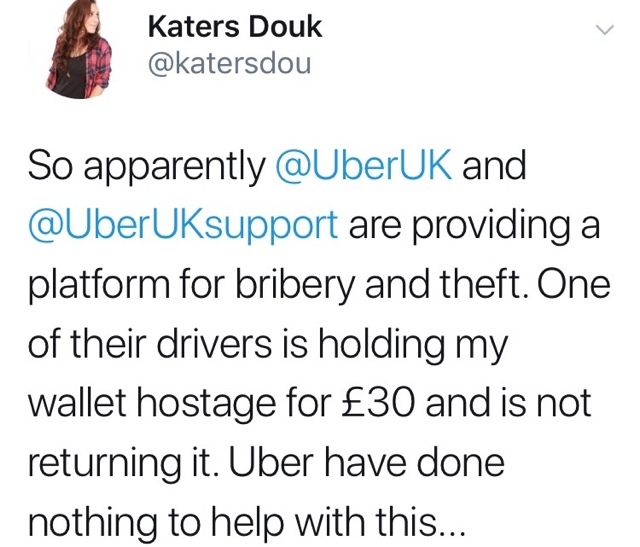 Story we seen today on Twitter that Katers Douk left a wallet in an Uber Car. Afte agreeing to bring it back, the drive late text saying he would hold on to the wallet unless a sum of £30 was paid. 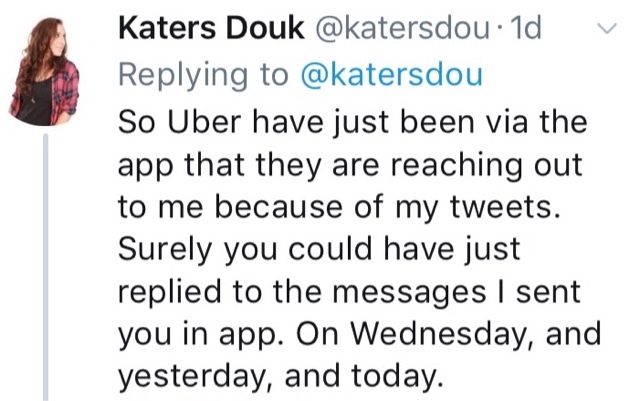 The uber account holder contacting Uber support by email but was then given the run around, with Uber saying the issue should be sorted using the in app support team. 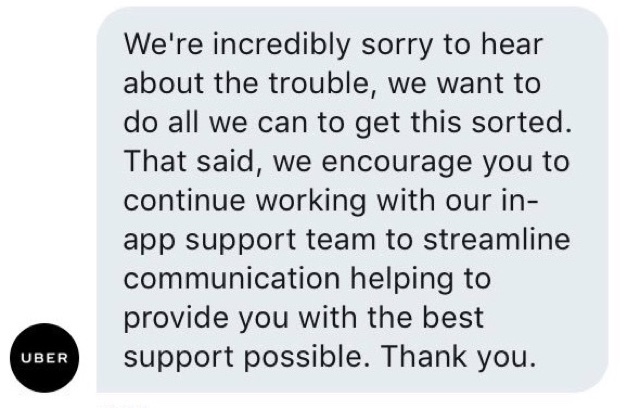 But it seems the in app support team are not listening to complaints today!